We’d love your help. Let us know what’s wrong with this preview of Goodnight Sunshine by Mark Cameron. Sleepwalking through life on a quiet island near Seattle, Oliver Bruce is struck twice in one day. Emerging unscathed from an accident that leaves his SUV a crumpled mess, Oliver finds a fragment of a letter about an invention that could change the global energy landscape. The discovery brings Oliver face-to-face with the widening chasm between his mundane existence as a m Sleepwalking through life on a quiet island near Seattle, Oliver Bruce is struck twice in one day. Emerging unscathed from an accident that leaves his SUV a crumpled mess, Oliver finds a fragment of a letter about an invention that could change the global energy landscape. The discovery brings Oliver face-to-face with the widening chasm between his mundane existence as a middle-aged family man and the richer life he longs for. Published November 26th 2015 by Catch Our Drift Productions Inc.
To ask other readers questions about Goodnight Sunshine, please sign up. Absolutely loved this book. It had great characters, an interesting adventure and a few plot twists. I loved the international flavour - the setting in Equador and the temptations the protagonist went through. I looked forward to reading the next chapter and then the next until darn it, the book was done. Looking forward to the sequel. Goodnight Sunshine held my attention from beginning to end. Mark did a great job of developing his characters. Saying goodbye to Oliver and Jen was like saying goodbye to two good friends. 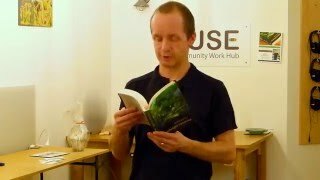 I will be watching for more from this new author. A must read. Two thumbs up. In his debut novel, Goodnight Sunshine, Mark Cameron offers up not only a fast-paced adventure through the jungles of Ecuador, but also a thoughtful and masterfully handled study of his protagonist's midlife crisis. Oliver Bruce is not your average hero: his life is mundane, his relationship with his wife cool and unfulfilling, his kids distant. He is a man looking for meaning in his life, feeling saddened and frustrated by his choices. 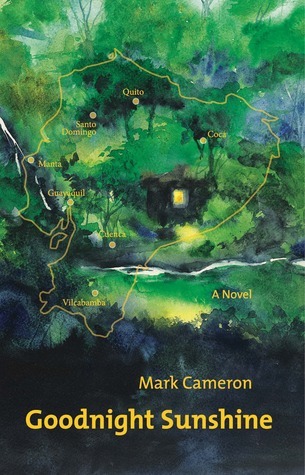 But then on accident triggers a sequence of events which le In his debut novel, Goodnight Sunshine, Mark Cameron offers up not only a fast-paced adventure through the jungles of Ecuador, but also a thoughtful and masterfully handled study of his protagonist's midlife crisis. Oliver Bruce is not your average hero: his life is mundane, his relationship with his wife cool and unfulfilling, his kids distant. He is a man looking for meaning in his life, feeling saddened and frustrated by his choices. But then on accident triggers a sequence of events which leads Oliver deep into the wilds of Ecuador. There are many good reason to read Cameron's book, not the least of which is his descriptive style. From the moment Oliver lands at Quito airport, the read is immersed in the culture, history, language, and vistas of the country, the author providing lush and vivid detail as Oliver Bruce pushes on into the rainforest. Cameron never misses a beat as he leads you, chasing along with Oliver Bruce, who searches for the elusive 'invention' which is forever vanishing around the corner, always just out of reach. 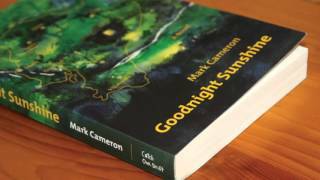 Mark Cameron takes you on a captivating and compelling journey through the pages of 'Goodnight Sunshine' as he shares an intriguing, solid and suspenseful fiction novel rich in dialogue. You will travel with Oliver Bruce to the lush jungle and Rainforest of Ecuador as he searches for some answers to his own life issues and also to a set of circumstances that have fallen in his lap and are unfolding before him. The writing is fresh, clean and crisp and he has made certain that all the I's are dot Mark Cameron takes you on a captivating and compelling journey through the pages of 'Goodnight Sunshine' as he shares an intriguing, solid and suspenseful fiction novel rich in dialogue. You will travel with Oliver Bruce to the lush jungle and Rainforest of Ecuador as he searches for some answers to his own life issues and also to a set of circumstances that have fallen in his lap and are unfolding before him. The writing is fresh, clean and crisp and he has made certain that all the I's are dotted and the T's are crossed. Oliver Bruce is definitely the guy to deliver in this novel ... for the sake of his family, friends, associates and country and he truly does. You have taught me a lot about writing from your style, Mark ... this fellow Author thanks you for that. Mark Cameron is an avid traveler, entrepreneur, husband, and father of two unschooled children. Mark can be found expressing his opinions and musings online at http://markofwords.com. In real life, you might find him in the seaside town of Gibsons on the west coast of Canada, or in a coffee shop somewhere else on Earth.